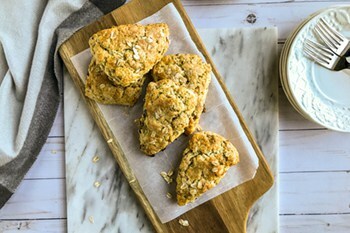 If you’re looking for an easy, homemade scone for afternoon tea, or simply with a cup of coffee, Scottish Oat Scones, drizzled with honey, is a classic favorite. 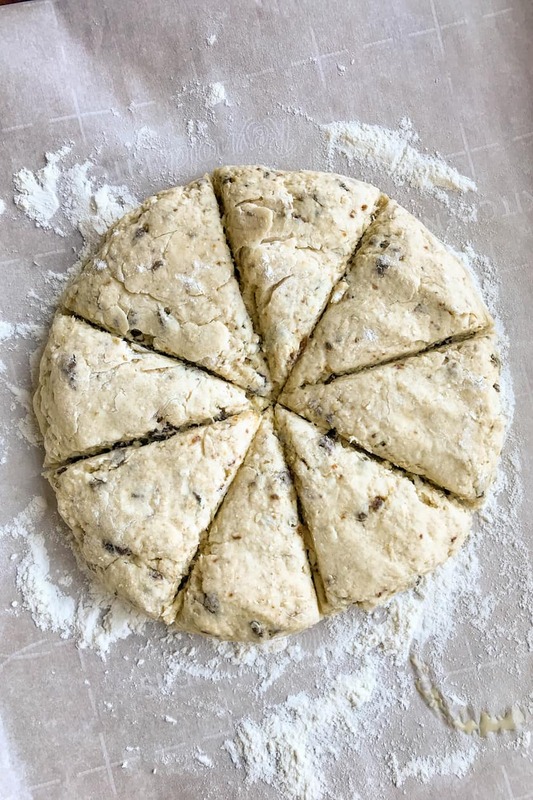 These tender, flaky scones have delicate buttery layers, moistened with buttermilk, and sweetened with raisins. 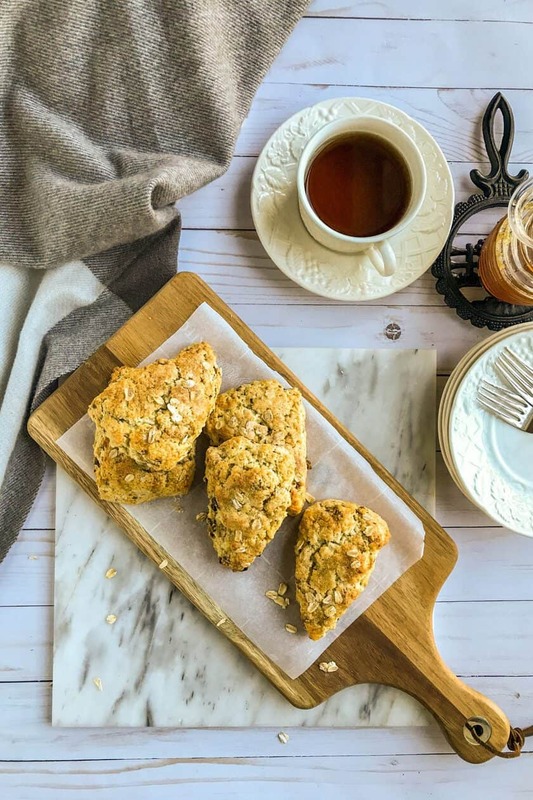 Truly, it’s a hearty scone you won’t soon forget. While I love, truly, almost all scones, this one is a particular flavor. So lovely with a cup of tea in the dead of winter. But equally delicious any time of the year. 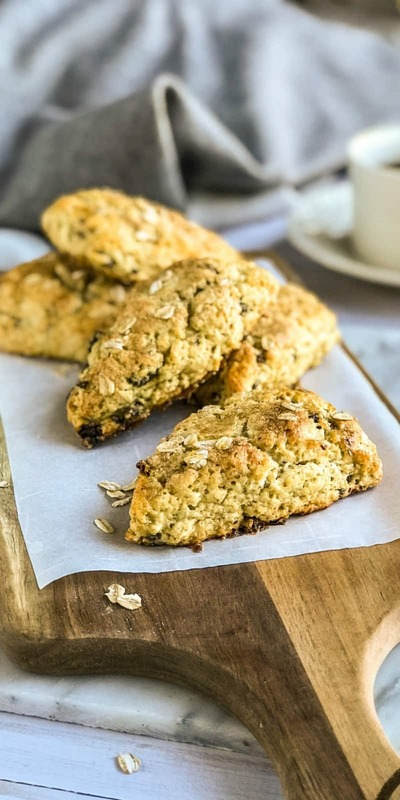 The scones are baked with an egg wash and sprinkled with a cinnamon sugar coating. While they’re still warm from the oven, I good drizzle of honey takes them to an incredibly yummy dimension. So brew yourself a cup of tea (or coffee), whip up a batch of these scones (that, incidentally, freeze very well), and prepare to relax and enjoy an unforgettable treat! We here at 31Daily love afternoon tea. Every, single, part of it. From the scones to the savories, to the various seasons. From the serving to the eating. We love it all. In fact, we have a page dedicated to all things… tea. Take a peek at our afternoon tea recipes and ideas! Heat oven to 400°F. Lightly grease a baking sheet or line with parchment paper. Set aside. 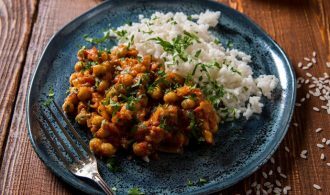 In a food processor or large bowl, combine flour, oats, 1/3 cup sugar, baking powder and salt; mix well. Cut in margarine with a pastry blender, two knives, or pulse with the blade attachment of a food processor until the mixture resembles coarse crumbs. Add the buttermilk; stir with a fork just until the dry ingredients are moistened. Add additional buttermilk as needed to bring the dough together. It should be slightly sticky. Fold in the raisins. Turn the dough out onto a lightly floured surface; knead gently a few times until the dough comes together. Roll or pat dough into an 8-inch circle, about 1/2 inch thick. Cut into 8 to 10 wedges and place on prepared baking sheet. 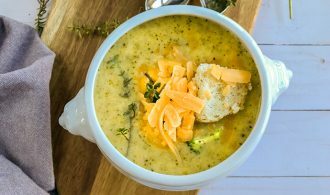 In a small bowl, whisk the egg; brush over each wedge. Combine the cinnamon and sugar and sprinkle each wedge over the top of the egg wash. Bake 12 to 15 minutes or until light golden brown. Do not overbake. 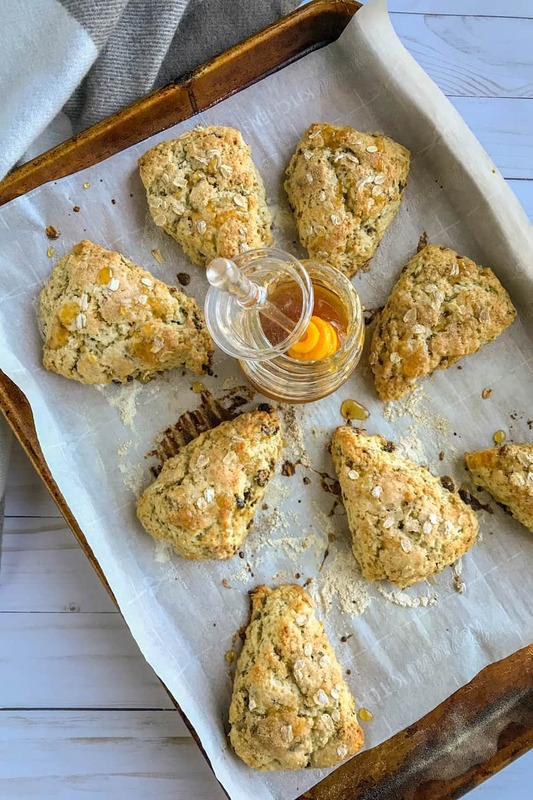 Drizzle each scone with honey and serve warm. 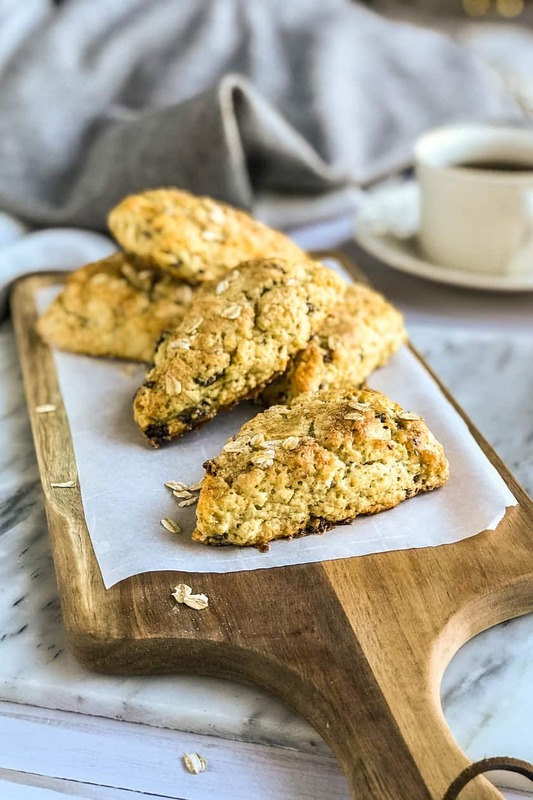 I am particularly fond of using a food processor for these scones. I like the texture it becomes when the oats and raisins are gently pulsed with the flour. It tends to spread both throughout the dough. Be careful though to not overmix.